Epson’s ink-jet printer utilizes a special printer driver to produce the highest quality black-and-white print. 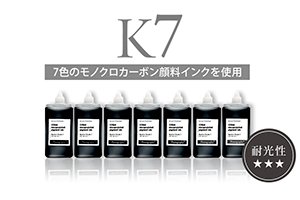 7 shades of gray ink are used to achieve heightened sharpness and rich gradation. Portrayal of the print is enhanced by shadow and highlight effect on a paper with excellent preservation standard. Piezography glossy prints resemble the finish on a traditional baryta paper. Matte prints reproduce the true texture and three-dimensional appearance of the subject. Printing director Mitsuhiro Matsudaira will create the premium monochrome print that maximizes the value of your photo. 7 shades of gray ink and a special driver make the dots to reproduce the fine smooth gradation and very sharp finish. 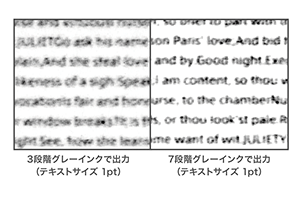 Glossy Piezography resemble the finish on a traditional baryta paper.Main portion of the photo (with ink) and the margin area have the same amount of gloss, and there is no bronzing. Ink used in Piezography has a strong resistance to light since carbon is its main ingredient and color ink is not used in the reproduction of monochrome print. 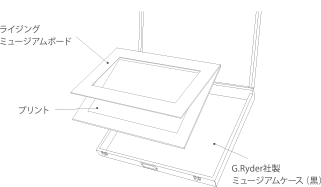 Portfolio is created with book mat by Rising Museum Board and placed in a museum case by G.Ryder, a preferred brand by the British royal. 1 set consists of 10 photos.